The preset location address: 6909 North Loop 1604 East, Sears Auto Center, San Antonio, 78247 , Tx, USA, area 'San Antonio - Rolling Oaks Mall'. 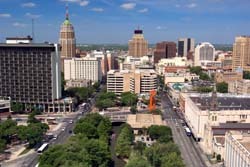 -by using the San Antonio interactive map on the left. Car and options choice. The search results indicate valid and final rental rates at the 'San Antonio - Rolling Oaks Mall' location. The rates are formed on the 'All included' principle. Presented prices do not include additional options, such as a GPS navigator, child seats, winter tires, etc. They can be added later on, during the last phase of the booking process. Hiring conditions are different for each rental car in USA. Therefore, before making a reservation, make sure you haveve read the conditions. The reservation is performed in three quick steps: searching for a car by location and rental dates, selecting desired vehicle and filling in the booking form. Upon reservation approval, you will receive a rental voucher via email. Car pick-up. Upon arrival to the location 'San Antonio - Rolling Oaks Mall', provide the required documents specified in your voucher to the rental officer. Directly in the office, inspect the rental invoice carefully – should match with your voucher. Besides this, do not forget examine the car exterior carefully – all defects discovered at the pick-up time should be included in your rental document. OrangeSmile.com wishes you a pleasant and trouble-free driving in USA! The rapidly growing city faced many important events in its history, including a fierce war for the independence and a new influx of immigrants. Until now, the multinational culture remains one of the distinctive features of the modern city. It has found reflection almost everywhere: in unique architecture and cultural traditions, in cooking and contemporary lifestyle of the city’s residents. San Antonio has many interesting national symbols. Its cultural calendar has a striking number of colorful festivals and other events. In summer, the festival Fiesta Noche del Rio is traditionally organized in the city. River Walk waterfront is the usual venue for the event. Guests of the festival have an opportunity to watch spectacular dance performances and learn how to dance flamenco. Many original folklore events take place in the city during the festival. The Spanish heritage of the city is presented in the San Antonio Missions National Historic Park. 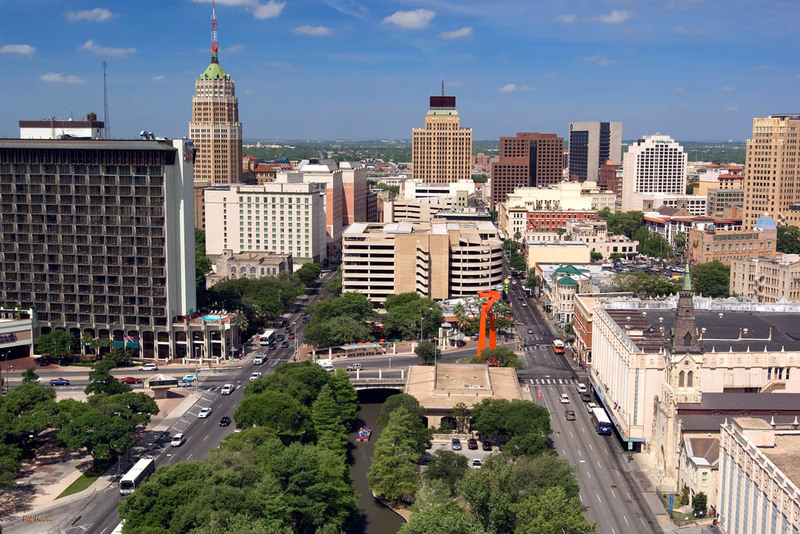 Beyond taking in the sights and sounds of San Antonio, tourists can sample some of its world famous Tex-Mex cuisine in many fine restaurants located throughout the city. Mexican restaurants are abundant in virtually all parts of town. Most of them are relatively inexpensive. Some outstanding examples of Tex-Mex eateries include Jacala on West Avenue on the near Northwest side, La Hacienda de Los Barrios on the North East side, and Los Barrios on the near North side of town.